Are you suffering from a men's health related problem? At Nuffield Health Warwickshire Hospital our experienced consultants can provide you with expert advice and quick access to treatment. 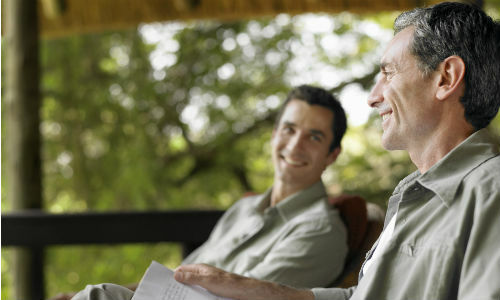 Why choose Nuffield Health Warwickshire Hospital for your men's health treatment? At Nuffield Health Warwickshire Hospital, we believe good health allows you to get the most out of life. In today’s busy world, managing your professional life, looking after your family and keeping up with friends and hobbies, means it is sometimes difficult to take a step back and think about your wellbeing. We are extremely proud of our first-class service and attentive matron-led nursing staff who work around the clock to ensure that your stay in hospital is efficient, comfortable and stress free. Confidentiality is paramount at our hospital, that's why patients receive their very own private en-suite bedroom to relax in before and after any in-patient treatment. If you are considering a particular men's health procedure and want to discuss your treatment options with a consultant, please call our hospital enquiry team on 0300 1311400 (local rate) to book an initial consultation. Alternatively, please fill out a contact form below and a member of our Warwickshire team will get back to you as soon as possible.